Intel, rumored to be prepping new enthusiast-grade Core i9 processors for reveal at Computex next month, apparently won’t be the only chipmaker with new silicon debuting in June. 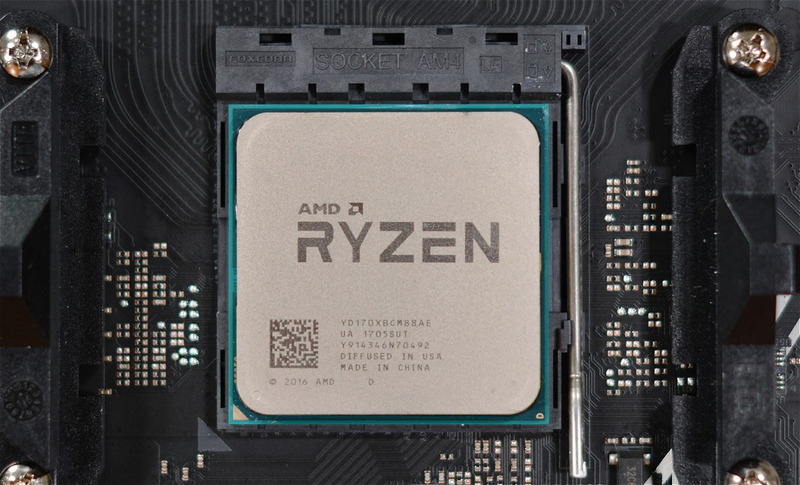 Longtime rival AMD is hard at work on a new line of CPUs that’ll bring its Zen architecture to the high-end desktop market and thanks to a new leak, we’ve got the skinny on the entire Ryzen 9 “Threadripper” lineup. Starting at the bottom and working our way up, we have the Ryzen 9 1955 and 1955X. These are 10-core (20-thread) chips with base / boost clocks of 3.1GHz / 3.7GHz and 3.6GHz / 4.0GHz, respectively, with TDPs of 125W. Climbing one step up the ladder, you’ll find the Ryzen 9 1956 and 1956X. These 12-core (24-thread) processors offer respective base / boost clocks of 3.0GHz / 3.7GHz and 3.2GHz / 3.8GHz with the same 125 watt power ratings. One step further forward is the 1976X, the 1977 and the 1977X. This tier offers 14 cores with 28 threads and base / boost clock speeds of 3.6GHz / 4.1GHz, 3.2GHz / 3.7GHz and 3.5GHz / 4.0GHz, respectively. The 1976X and 1977 carry TDPs of 140W while the 1977X is slightly higher at 155W. The crowning jewel of AMD’s upcoming enthusiast lineup is the Ryzen 9 1998 and 1998X, 16-core (32-thread) monsters with a base / boost clock of 3.2GHz / 3.6GHz and 3.5GHz / 3.9GHz, respectively. Both of these chips have 155W TDPs, as you might have guessed. All chips support quad-channel DDR4 and offer up 44 PCIe lanes. They’ll fit into a modified version of the SP3 socket (originally designed for AMD’s 32-core Naples server parts) called the SP3r2. The new platform is codenamed Whitehaven.